On the night that Shelly Buckner finally became a mother, she very nearly became a widow. Her husband, Eric, seriously injured in a car accident on the way to the hospital, was dead for a full eight minutes before being revived—all while Shelly was in labor. 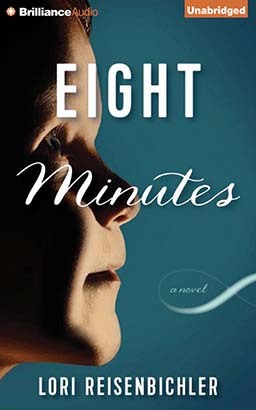 Those eight minutes changed everything Shelly thought was possible. Three years later, their son, Toby, brings home an imaginary friend. But he’s no ordinary playmate—John Robberson is a fighter pilot and Vietnam vet. As Toby provides unlikely details about John’s life—and Toby’s tantrums increase—Shelly becomes convinced that John was real and now wants something from Toby. But her husband has his doubts, and as Shelly becomes involved, even obsessed, with finding out the truth, their marriage begins to disintegrate. Torn between protecting her child and keeping the peace with her husband, Shelly desperately searches for a way to finally put John Robberson out of their lives.